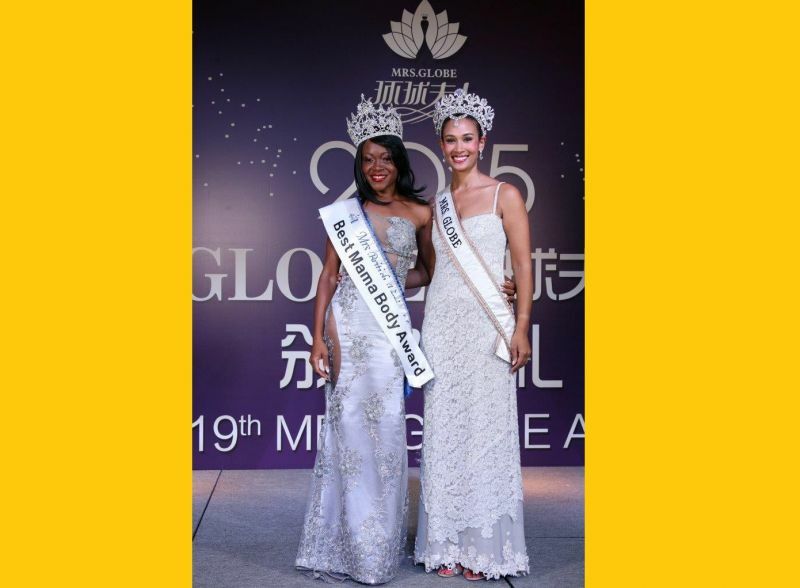 ROAD TOWN, Tortola, VI- Mrs BVI Shevone A. Findlay no doubt made quite an impression in Shenzhen, China when she contested the Mrs Globe Pageant on December 5, 2015. Mrs Findlay placed 20th in the competition of 60 women worldwide and was nominated in 5 award categories: Women of the year, Most Creative, Children Advocate, Children Mentor and Best Mama Body. She won the Best Mama Body award. On finals night, Mrs BVI had made the semi-finals by securing a place in the top 30. 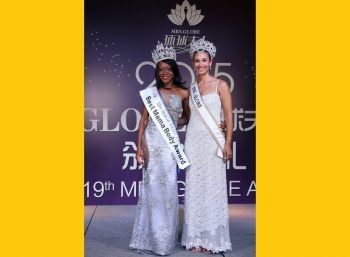 During her two weeks in China, according to the BVI Lifestyle Challenge which was responsible for sending Mrs Findlay to the pageant, Mrs BVI was selected to participate in most of the initiatives and networking events. She was selected among 7 to perform at the Shen Senior Center, at a special event held in their honour of the seniors. “BVI was well featured and favoured among the delegates for her enthusiasm, personality and vigour. She was commended several times for how she was marketing her country through dress, her talent and dialogue with everyone and on stage. Through her very interesting story, which she carried through the event, she will always be noted as the Mrs BVI having six children with such a well maintained figure,” a press release from the BVI Lifestyle Challenge stated. Mrs BVI expressed her thanks to the Mrs Globe Organisation and the VI for their support in making her presence at the event a reality. 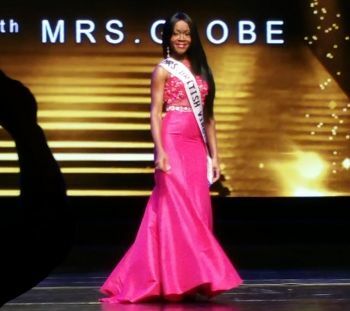 BVI Lifestyle Challenge Director, Alicia Green told Virgin Islands News Online that it is the first time in 14 years that the VI was represented at the Mrs Globe Pageant. Meanwhile, the hunt will soon be on for the next Mrs BVI for the 2016 edition of the pageant, also to be held in Shenzhen, China. Interested persons can email mrsbvi@wagbvi.com. Mrs Globe is the largest international pageant for Mrs in the world as well as the largest charitable event for the WIN Foundation, a non-profit outreach that specialises in abuse and self-esteem recovery. During the 2015 event, some 60 women presented themselves in personality profile, swimwear and evening gown of their choice. There was a cultural segment where each delegate showcased their country’s cultural dress. 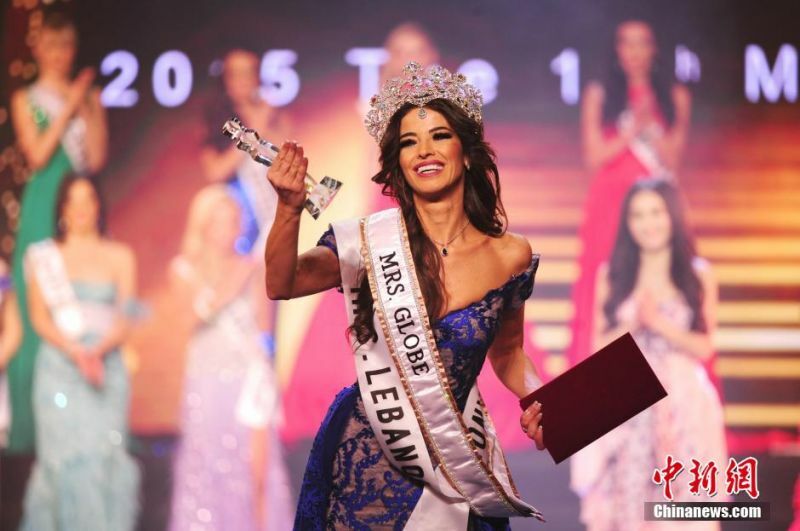 Mrs Lebanon Sylvia Yammine was crowned the winner of the Mrs Globe contest 2015. 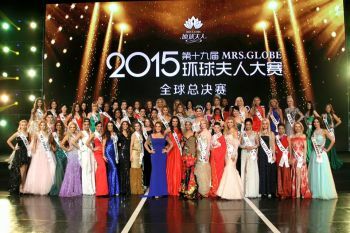 Contestants from China and Russia won the runner-up and the third place respectively. Mrs Findlay and the Mrs BVI team have extended special thanks to Speedy’s, Heidi Schumann, Rock Café, Roadtown Wholesale, Germaine Smith of One Stop Mall, Nagico Insurances BVI, Flax Craft, Beautiful by Jasanay, Makeup magic by Danni as well as private donors. BVI Finance and the BVI Tourist Board were also mentioned for their support of the initiative. You try to play smartazz and dis our other two queens who are away!!! especially the version of her title without kids.. GOOO SASHA!